Home > Blog > Up Close and Personal with Kate Van Hooft. Up Close and Personal with Kate Van Hooft. 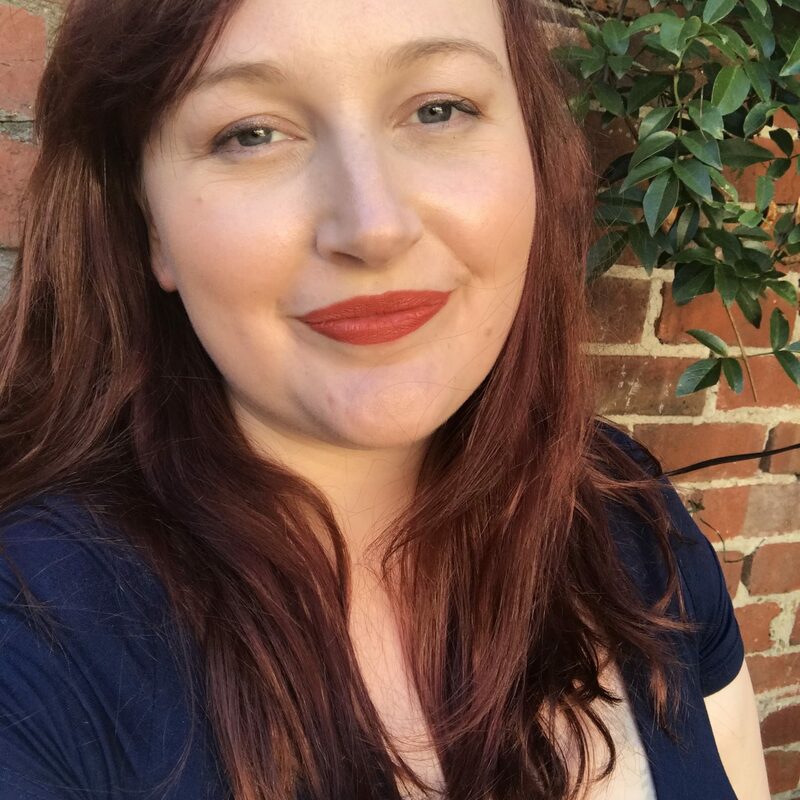 Read on for an interview with Kate where Arianne asks her about all things writing, and be inspired by Kate’s insight into the creative process. Where did the idea for We See The Stars come from? It actually came directly from Simon himself! Simon first popped up in my head during a writing exercise at Uni, where we had to free-associate for ten minutes. I had a song stuck in my head at the time, and Simon appeared to help me describe it: he narrated the rhythm of the beats and the bass, and described how they hit you with a thump in the middle of the chest when you’ve turned it up too loud. He stuck around for another ten years after that but never told me what he wanted – he’d just pop up every now and again to chat about things that he’d noticed or how something had made him feel, until one day he told me he really liked his grade six teacher but he was really worried about her because she’d gone missing. And off we went. Can you tell you me about your writing process from idea to publication? Do you edit as you go, or does that disrupt the flow of your ideas? I definitely try not to edit as I go, as I find this limits the creativity you need to get the story out. The editing part comes later, and it’s a very different way of thinking about and working with your words, so trying to do both at once just doesn’t work for me. I wrote the first draft of We See the Stars in just under three months – mostly to try and feel out the story and let Simon tell me what he wanted me to know – and then when I finished it I binned it and started over completely. Simon’s voice took a long time to properly pin down and each time I wrote him it would become more refined, so I rewrote often to try and almost boil it down to its bare essence. I think I wrote three full drafts from start to finish before I had one I was happy with, and started preparing to send it out to my now agent. Simon came in fits and starts and it was tough to spend too much time with him, so I’d write intensively for weeks and then not at all for months. What is your favourite time of day to write? Usually late at night – if I’ve got a few weeks off work I tend to fall into the habit of writing from about 11 PM – 2 AM, although I promise myself all day I’ll write at a reasonable hour. I like the quiet and the stillness of the night time, but mostly I need that push that procrastinating all day gives you when you realise, as much as the writing will be tough, you don’t want to go to bed until it’s done. What are some strategies you use when you aren’t sure where the story needs to go? Or when you know where it needs to go but aren’t sure how to get there? I try to get close to the voice, and let the character tell me rather than trying to speak through them. It’s a sort of channeling. And I think you have to let go a little bit and experiment with it, because worst case scenario you can just delete and go back! There’s a real joy in having your characters surprise you, so rather than try and think structurally as though I’m in charge of the story I almost hand it over to them. Later I might think…hmmm…not quite right and go again, but in the moment I try not to worry and follow where they take me. In a sense I think that means you have to lose yourself in your characters. With Simon I listened to three specific pieces of music over and over again so that he almost had a theme song, and when I wanted to find him I would tune in to him that way. I almost Pavlov’d myself into associating the music with him so that when I needed him he could appear! The music was by Australian composer Stephen Rae, who writes incredibly beautiful film and TV scores, and I listened to three of his tracks so often I sent him a copy of the book as a thank you! How do you judge when a piece of writing is finished? That’s a bloody good question. For me, when I’ve got a particular passage right I think you almost feel it click into place; it flows well as you write it and when you look back at it you think ‘yeah, that’s pretty good, actually.’ In so much as you can tell when a piece isn’t quite there, I think you can tell when it’s right, too. That said I thought I’d ‘finished’ the book about seven times. But really what was happening was I’d reached the limit of my ability for that moment, so I’d leave it, not knowing what else I could possibly do. Then with fresh eyes some months later I’d read it again and have new ideas, or see things I hadn’t noticed before…and around we’d go again. I think when you can read it after a while and not see anything wrong with it, or not have ideas on what else it needs, you’ve finished it. If you can read it after a while and still think ‘yeah that’s it, that’s the limit of what I can do’ then I think it’s over. Maybe. What are some of the things you think children can teach adults? Kids are amazing at unselfconsciously feeling things, and naturally use so much imagination and creativity that they experience the world with so much more colour and magic than we do. When it comes to artsy things, I love that kids can just be creative without worrying whether it’ll be good enough: they’ll finger-paint because it’s fun to get squishy stuff under your fingernails and not worry if what they’ve done has enough artistic merit to be considered worthy. They do it for the experience of making something, for the fun of it. There’s something really freeing about that. Where are some of your favourite places to travel? I love travelling in Australia; I find overseas travel really overwhelming and I’m a pretty awful flyer so if I can get somewhere in under 5 hours that’s about my limit. I love travelling around Australia anyway, though, because we have such an incredibly diverse landscape and so much natural beauty. Being a city girl I try to travel to the country or regional areas rather than other cities, and I like getting out under a big sky. Tassie’s on the list! Just keep writing. It’s a simple piece of advice and you’d think kind of obvious, except for when you’re forty thousand words deep into a manuscript and it’s not coming out the way you thought it would and you can just sort of feel it’ll be at least another two years of slaving away at it before you have something even remotely worth trying to refine and send out. So I like that advice because it acknowledges that sometimes it’s actually really hard to write, it’s really hard to keep going, especially when you have no idea if what you’re working on will ever see the light of day. When you’ve had a rough one and none of the words came out right and it’s making you question your sanity, your life choices up until this point, and your worth as a human being. But you just have to keep pushing the words out onto the page. There’s only one way out and that’s forward. Just keep bloody writing. Do you ever write short stories? I do, but not so much lately. I think there’s a real art to a good short story and being able to tell an amazing, well-crafted yarn in as few words as possible is really hard. I admire and envy writers who can do it. I tend to write short stories to see if there’s enough to expand into a bigger story down the line, rather than to try and have it be a thing in its own right. Very rarely do they ever see the light of day! What writing are you currently working on? My second book, which is a sort of thing about depression and altruism and the meaning of life. Just small, simple themes. Definitely not biting off more than I can chew. What advice would you give for people starting to doubt themselves early on in their writing career? I think doubt’s natural, so don’t panic when it happens. What you’re doing is scary so it’s fair enough to feel scared. It doesn’t mean your writing isn’t good enough, or that your project is doomed to fail. Writing is also pretty awful a decent amount of the time, so it follows that it would make you feel awful every now and again… but it’s also pretty incredible when it works and that’s why we do it. I think a natural antidote towards doubt is to have faith in your story and/or your characters, if you can’t have faith in yourself. Put your weight behind your story, or your character’s voices, or the world you’ve made. With Simon I doubted many, many times whether this weird little story about this strange little kid would ever amount to anything. But I would back him, and his want to tell his story his way, and for whatever reason I could do it for him when I couldn’t do it for myself. He kept me going through it. The Tasmanian Writers Centre thanks Kate for taking the time to chat with us. We wish her all the best on her future writing journey, and can’t wait to see what she brings to the writing world next!